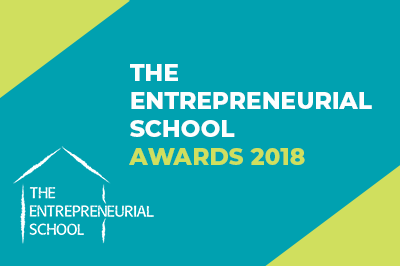 For the fourth edition of the Entrepreneurial School Awards, entrepreneurial (academic and vocational) schools across Europe will be selected at national level for their entrepreneurial vision and outstanding implementation of entrepreneurship education programmes. The first TES Award was made in 2015 when 11 schools from 11 countries participated in a ceremony in the European Parliament in Brussels. The following year it was the turn of Latvia’s capital Riga during JA Europe’s event ‘Celebrating Entrepreneurship Education’ where 17 European schools presented their achievements and received Awards. Last year the TES Awards formed the culmination of a conference in Tallinn organized by the Innovation Cluster for Entrepreneurship Education (ICEE) sponsored by the Ministry of Education of the EU’s presidency-in-office, Estonia, when 15 schools received Awards. What do schools have to do to win an Award? Nominations are submitted by national JA organisations working with their national education authorities. 17 schools from across Europe have been selected at national level and will gather in Vienna on 7-8 November in the context of the European Vocational Skills Week. They participate in a workshop, offering opportunities to network and exchange good practices. This year the TES Awards ceremony is hosted by Siemens. The Entrepreneurial School Awards is a JA Europe initiative supported by Siemens.